There are a handful of damaging insects we see in our lawns around Regina. Primarily we see damage caused from sod web worms or chinch bugs. Both bugs prefer a malnourished lawn that is under watered. With Weed Pro’s holistic approach to lawn care we try and minimize the possibility of your lawn being a target of an insect infestation. However, if you start to see dead patches forming on your lawn particularly near concrete or brick patios please do not hesitate to call Weed Pro. 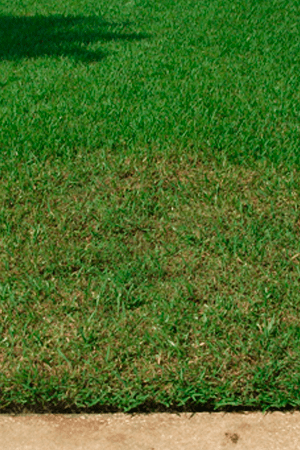 Insect damage can be quick and devastating to your lawn given the right conditions. You will be pleased to know that as of 2017, as part of our holistic approach, all customers enrolled in one of our fertilizer and weed control programs, will receive chinch bug control at no extra charge, if the service is necessary. Treatment is simple and very safe. In the last three years we have seen a greater number of chinch bug infestations in communities in and around Regina. Including this service in all our fertilizer and weed control programs allows us to take a proactive approach and speed up treatment. If we treat your lawn, you will be notified. Safety precautions are the same as weed control, stay off the lawn until dry.